The cause of glaucoma generally is a failure of the eye to maintain an appropriate balance between the amount of internal (intraocular) fluid produced and the amount that drains away. Underlying reasons for this imbalance usually relate to the type of glaucoma you have. Just as a basketball or football requires air pressure to maintain its shape, the eyeball needs internal fluid pressure to retain its globe-like shape and ability to see. But when something affects the ability of internal eye structures to regulate intraocular pressure (IOP), eye pressure can rise to dangerously high levels — causing glaucoma. Unlike a ball or balloon, the eye can't relieve pressure by springing a leak and "deflating" when pressure is too high. Instead, high eye pressure just keeps building and pushing against the optic nerve until nerve fibers are permanently damaged and vision is lost. When glaucoma progresses, injury to neurons ultimately leads to eye damage in the form of peripheral vision loss. However, eye damage appears to begin first in the brain as connectivity is lost. The aqueous humor is produced behind the iris, flows into the anterior chamber through the pupil, and exits the eye between the iris and cornea. Too much aqueous production or obstruction of its outflow causes a rise in IOP that can lead to glaucoma. In most types of glaucoma, elevated intraocular pressure (IOP) is associated with damage to the optic nerve in the back of the eye. This discovery reported in early 2010 is a major breakthrough that could lead to improved early diagnosis and treatments of the eye disease, according to Vanderbilt Eye Institute (VEI) researchers in Nashville. "If you followed the disease long enough, eventually the optic nerve, then the retina, show signs of degeneration," said VEI research director David Calkins, PhD. "So the degeneration works in reverse order. It starts in the brain and works its way back to the retina..."
The clear fluid inside the eye is produced by the ciliary body, which is a small, circular structure found behind the iris or colored portion of the eye. This fluid, known as the aqueous humor, flows behind the iris and through the pupil or central opening in the middle of the iris. The aqueous humor (or "aqueous") then fills the anterior chamber, a space between the back of the clear cornea and the front of the iris. The aqueous exits the eye through a structure known as the drainage angle, which is the angle formed inside the anterior chamber between the iris and the peripheral cornea. Any disruption of this outflow of aqueous — including from certain eye injuries — can result in an increase in IOP. Anatomically, the eye's drainage angle is referred to as being either "open" or "closed" (narrow). The narrower the angle, the more difficult it is for the aqueous to flow through it. An open angle also can hinder the outflow of aqueous, if structural damage exists within the ocular tissues of the angle itself. While high IOP often is associated with glaucoma, this eye disease also can occur when internal eye pressure is normal (normal-tension glaucoma). People with this condition have highly pressure-sensitive optic nerves that are susceptible to irreversible damage from what ordinarily would be considered "normal" IOP. Conversely, certain people with elevated intraocular pressure known as ocular hypertension may never develop glaucoma. Most conventional methods of screening for glaucoma involve testing eyes for the presence of high IOP. But because glaucoma can occur even without high IOP, direct examination of the optic nerve and visual field testing are essential in making (or ruling out) the diagnosis of glaucoma. Though the exact cause of normal-tension glaucoma is unknown, many researchers believe decreased blood flow to the optic nerve may be a factor. This could be caused by narrowing of blood vessels that nourish the optic nerve or constrictions of these vessels (vasospasms). An intriguing study reported in August 2007 indicates a potential common cause of both glaucoma and Alzheimer's, which creates brain lesions and accompanying memory loss. 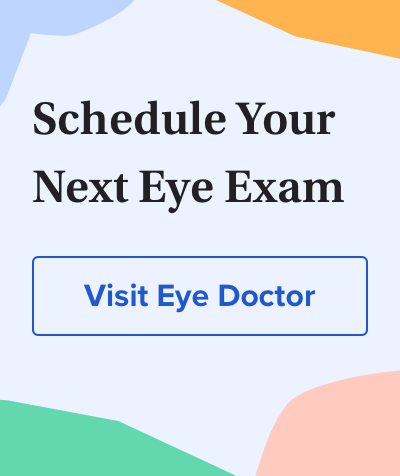 Researchers in the UK who conducted the study found that buildup of a protein known as beta-amyloid in the eye's retina and in brain tissue appears to be associated with development of both glaucoma and Alzheimer's. Judith Lee, Gretchyn Bailey and Vance Thompson, MD, also contributed to this article.